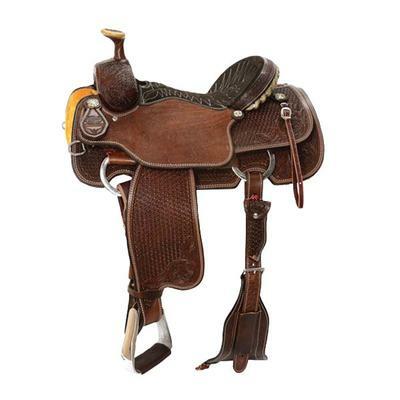 A truly beautiful saddle that marries form to function, the hand made Bixby Select Roping saddle features a wide, fiberglass reinforced wood tree for strength. Chestnut leather is hand tooled with a floral design. Roughout fenders, jockeys provide grip. 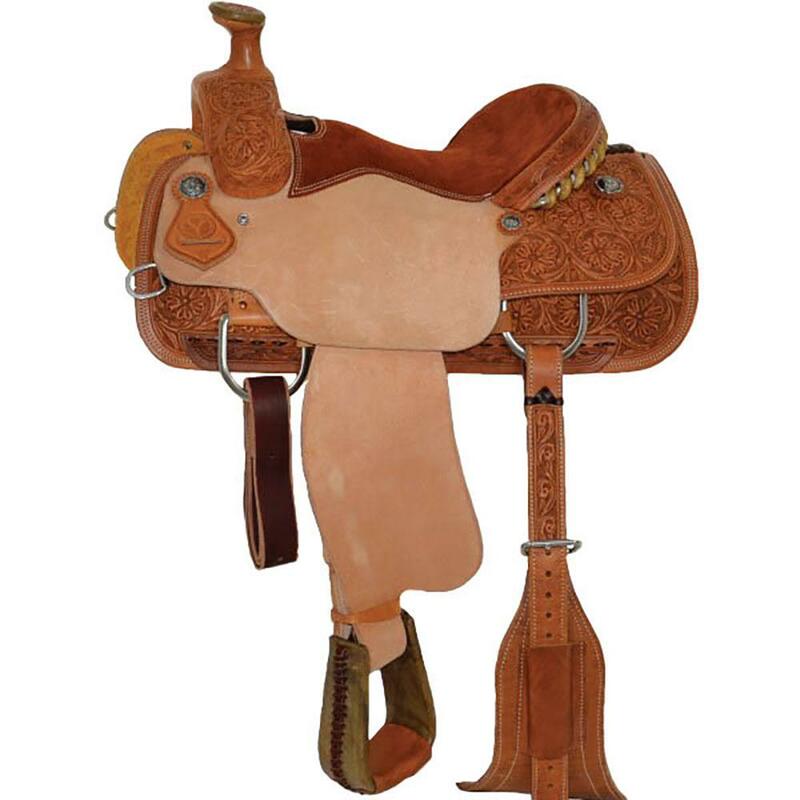 Double-stitched 15" rust suede seat, a silver-laced rawhide capped cantle and Jeremiah Watt stainless steel black antique conchos add flair. The 3" horn has a rawhide lip for added durability. 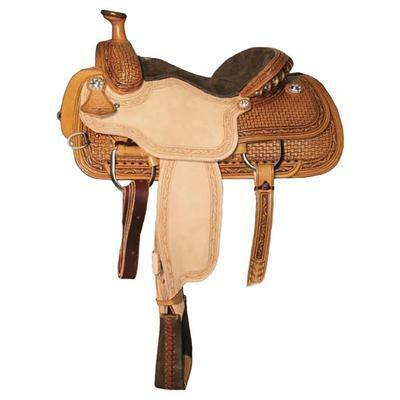 Wide, roper style flank cinch with leather billet keepers help hold your saddle in place during quick stops and turns. Leather laced rawhide stirrups with leather tread. Wide, fiberglass reinforced wood tree. 3" horn with rawhide lip. Leather laced, rawhide covered stirrups.